Will Your Family Know What to Do With Your Collectibles? So you have an art collection, or antique dolls, or maybe you collect wine. If you were to die tomorrow, what would happen to these things you’ve spent so much time and money investing in? Unless you include specific instructions in your estate planning documents (your last will and testament or living trust), they may not end up where you had hoped. And they may be way undervalued. That’s right. Your collection is part of your estate. It may considerably increase your net worth; possibly help to pay for your care when you get older. Collecting Spanish coins is part of my husband’s retirement planning strategy. He hopes the coins will appreciate enough in value to supplement our retirement income down the road. Or your collection may have little monetary value, but high sentimental or emotional value. It may be something that you’d want to pass along to someone who would appreciate your interests. Either way, if you don’t include your collection in your estate planning documents, there’s no telling how it will be valued, or where it could end up after you die. If you’re not sure where your collectibles should go, you may want to consider gifting it to a charity. 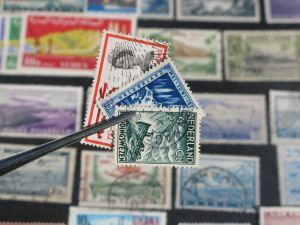 Collections, no matter what the value, must be reported to the IRS. Including it in your will or living trust can reduce taxes on the collection if the proceeds from the trust eventually go to charity. If you’ve spent a lot of time and money building your collection, it’s a no-brainer that you should also spend time planning what will happen to them when you die.